She’s got millions of dollars in the bank on Winners and Losers but Melanie is clearly even richer than her on-screen doppelganger, Sophie, after welcoming her “little legend” with husband, Matt Kingston. 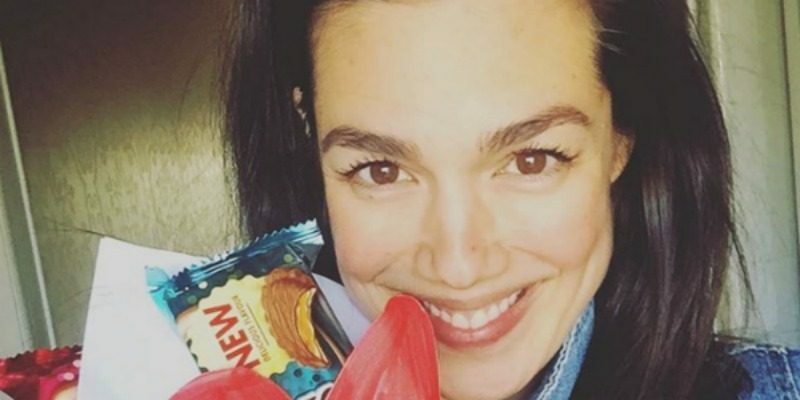 Another one of our favourite Aussie TV stars is a mum! Melanie Vallejo, who plays Sophie Wong on Winners and Losers (she was also the Blue Mystic Ranger on Power Rangers) has officially hit the ground running when it comes to motherhood. The star glows in her most recent photos as she relishes in the newborn snuggles and blissful baby days with Matt and their new son, Sonny Kingston. The star shared a lovely photo of their little man snuggled up in a Babein stretchy wrap. Sonny arrived a week earlier than Mel’s due date and he is the first child for both parties. Sonny is already becoming quite the social media star with Mel sharing a lovely snap of her family of three taking in the beach. Motherhood certainly agrees with the Aussie star who also shared a sweet snap of newborn snuggles with Sonny earlier today. Lap up the love, Mel! And congratulations! Check out the other stars who have recently added to their brood including Rebecca Judd (with twin boys Tom and Darcy) and Adam Levine (with daughter Dusty).